You'll find Hampton Roads a little lower than it used to be, but not for the reasons you'd expect. First, the region has a slightly different name than it did during the 2000 census. 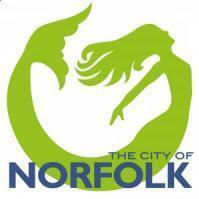 Back then, it was called Norfolk-Virginia Beach-Newport News, VA-NC. Since then, the Census Bureau has switched the city names, giving Virginia Beach top billing because it's bigger. So technically, this is no longer the Norfolk metropolitan area. Second, while Hampton Roads grew since 2000 - adding about 72,000 people - other metro areas grew a lot faster. These numbers are esimates anyways. We'll know how things have changed in 2010. This may be a little off topic but I noticed 1 larger metro area had no professional sports teams, yet 10 smaller metro areas had at least 1 professional sports team. You're poking at a sore spot there, carolinaboy. Quit it. Sorry gosscj and everyone else. I have just always dreamed of having a MLB team in Norfolk. It just irritates me to see smaller places with teams. I meant no harm or disrespect. On a side note, the pilot sure seems to be playing up the population loss/stagnation angle quite a bit lately. I guess they were running out of other negative things to write about. 2010 can't get here soon enough, these estimates are almost always off for our region. I meant no harm or disrespect. The results will show the now Va Beach-Norfolk metro area to be shrinking even more. The way these property taxes are shooting up, these gangs are shooting up and unemployment is, well, shooting up I foresee this region sliding even further down. No metro area is perfect per say but there has to be a balance to the point where people want to be attracted to a region to want to live. Most of Hampton Roads is military affiliated anyway and are here on orders. The region is sleepy and sluggish and probably best suited for retirees that appreciate its geographical ameneties. Regional cooperation? You probably have a better chance of seeing Yeti or the Loch Ness Monster. Sensible city council members? Show me and I'll show you a Unicorn I have stowed away in my backyard. A few amenities I can think of: the beach (for some), urban living (in some areas), about halfway down the coast in proximity to DC, NY, Miami, etc, mild weather. More bang for your buck for northerners who move here to retire. To attract more people we need better paying jobs (which will lead to a less transient area which in mho is a better thing), maybe more sports (the jury is out last I heard if there is actually a gain monetary wise but who knows?). Sadly, this guy has a slight point. What are the amenities that truly attract people, especially young people, to this area? What can we do to increase our areas attractiveness to outsiders? Basically, I wanted to take my truck, with it's video screen, use an EVDO connection to broadcast live video from the bar to the truck via the internet, and roll around advertising their venue in front of all of the people at the oceanfront, and Granby street. I am pretty sure I saw the AdMobile roaming around in Pembroke the other day. I have to give you serious commendations, Tel, that was a pretty good peice (a little verbose, but really, I have no room to talk). That was horribly inarticulate, but exams are killing my brain You get the idea. Hampton Roads to see surge in population, but fewer jobs. Whaley forecast that Hampton Roads' population, which stood at 1.57 million in 2000, will grow by about a third, to 2.08 million, by 2034. Part of this increase will come from an influx of retirees from other states, he said. But employment growth in the region will not keep pace with the rise in population, he predicted. 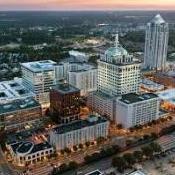 The number of jobholders in Hampton Roads, slightly more than 963,200 in 2000, will increase only 27 percent, to 1.22 million, by 2034, he said. The forecast, which relied on a computer model of the region, drew on data from the Census Bureau and Bureau of Labor Statistics. Whaley said he used the target year 2034 at the request of the commission's transportation planners. On a related note here is an interesting map showing migration from 2000-2005. Kinda interesting to see where everyone moves from. Why are so many people coming from Honolulu, HI to HR? Are these Navel personnel?